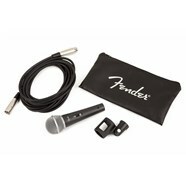 Get the Fender Gear You Want Today! You don’t have to wait to get the latest Fender gear. 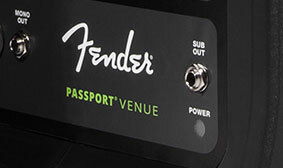 Fender.com offers no-interest financing for six months via PayPal Credit. With PayPal Credit, you get six months to complete your purchase without being charged any interest. You choose how often and how much you pay. As long as you complete your purchase within six months, you won’t pay a cent of interest! PayPal's Terms & Conditions apply. Just click the PayPal button at checkout and choose PayPal Credit as your payment method to start your short application process. 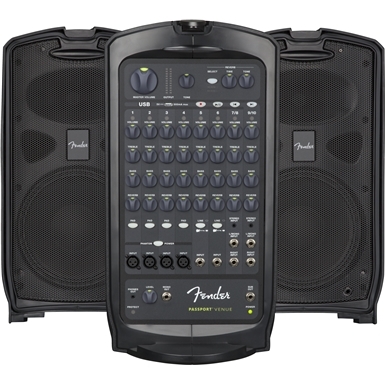 Maximize the sonic punch of any large performance with the Passport Venue portable sound system. 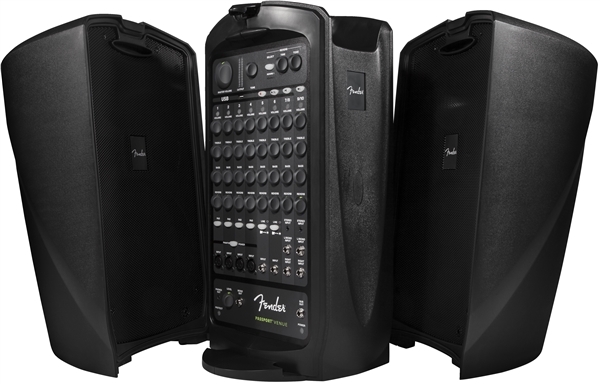 Its full-range speakers, versatile features, friendly front-panel controls and 600 watts of uncompromising sonic power provide powerful, clear and reliable Fender sound reinforcement ideal for larger venues and occasions, including band and DJ gigs; education, sporting and worship events; meetings, seminars and presentations and more. 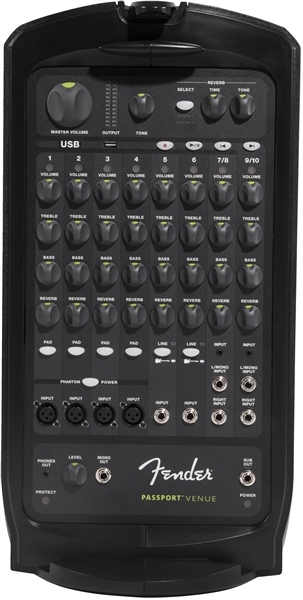 To preserve your performance or presentation, Passport Venue features a USB record/playback system that lets you record WAV audio files using a USB flash drive, and also play WAV and MP3 files. 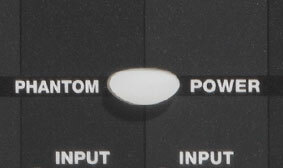 Passport Venue’s phantom front-panel power switch provides DC electric power through mic cables to operate condenser microphones that require external power. 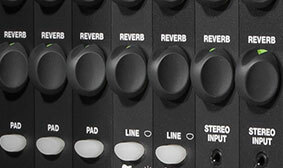 Instruments and microphones operate using different impedances. 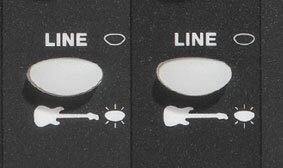 This Passport system’s front-panel instrument/line switching lets you choose the correct impedance for either one. 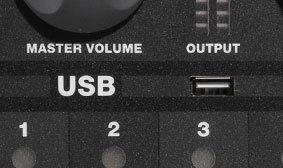 The front-panel reverb controls for each channel of this Passport system let you dial in just the right amount of the spacious effect, for any degree of ambient depth from subtle to cavernous. 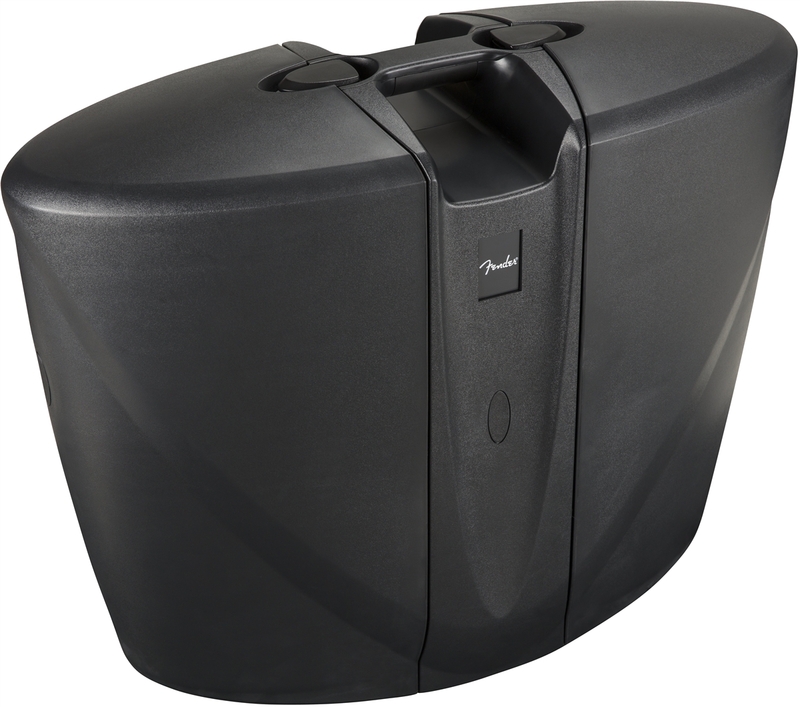 For powered subwoofer use that will bring out the best clear and powerful low end in your performance or presentation, this Passport system features a front-panel sub output with an automatic high-pass filter. 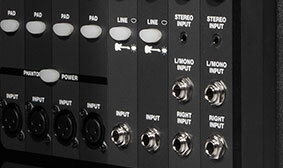 For easy instrument connectivity, this Passport system features dual front-panel ¼" line inputs. 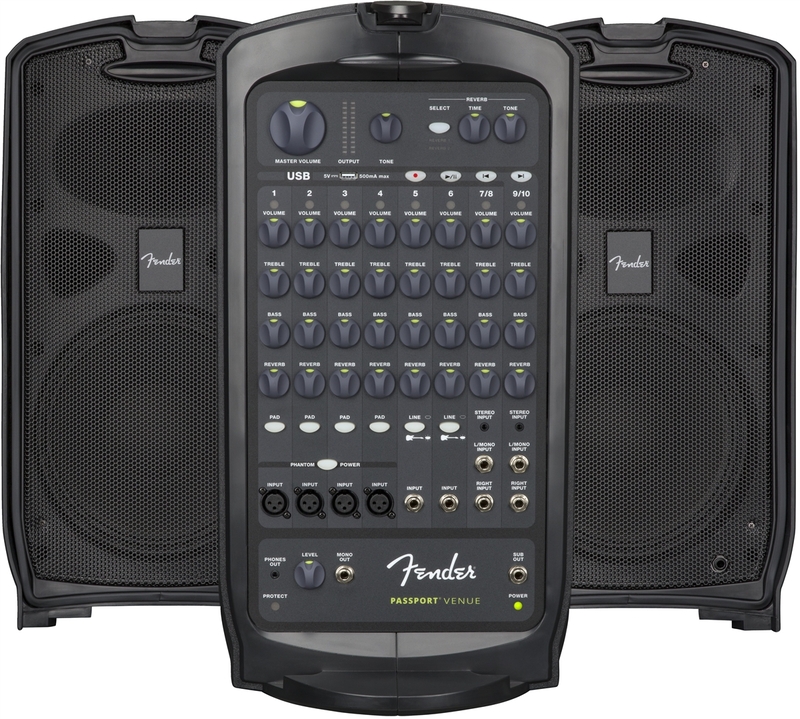 600 watts of output power - ample for medium to large audiences, International voltage operation (100v-120v / 220V-240V), Integrated ten-channel mixer lets you intuitively mix lecture panels, musical ensembles, and more, Reverb adds depth to your instruments and vocals, USB-equipped - record performances to a USB drive and play audio files (CD quality 16 bit / 44.1kHz) MP3 and WAV playback, XLR and 1/4" mic/line inputs for flexible source connectivity, Stereo 1/8" input - play recorded material from mobile devices, 1/8" stereo output for headphone monitoring and sending stereo mixes, Sub Out with automatic high-pass filter for powered subwoofer use, Mono Out with Level control for powered monitor use. We didn't find any dealers in your area. 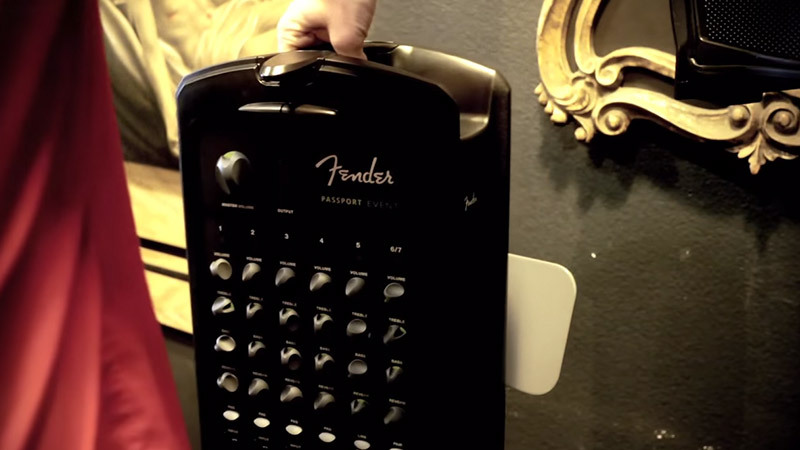 Try searching a different location below or contact Fender Customer Service at 800-856-9801. Please wait while we search for any available online dealers. All online dealers listed here will have the specified product in stock, ready for purchase. Sorry, we weren't able to find any online dealers in stock at this time. Please check back later or close this window and click the "NOTIFY ME WHEN IN STOCK" button to receive an email when this item is back in stock. Yes, please have a dealer in my area contact me using the information I have submitted. I understand that my information will be shared with the dealer and may be used by the dealer to facilitate this contact.